You've probably heard about the Pink Spoon for a few years now. And if you're smart and you read our recent article on its importance, you've already created a valuable "free taste" of the work that you do with your clients, and you're giving it away on your website in exchange for email addresses to build your list. Your Pink Spoon was created to entice people to sign up using the opt-in box on your website. This alone will help you grow your tribe. People who continue to have static websites, and even those who have an opt-in box for their newsletter, but no Pink Spoon, can't compete with you as women business owners. However, more and more people are catching on to this marketing strategy. If you want to build your know, like and trust factor and grow your list every week, you've got to give people a taste of what you offer. Therefore, many entrepreneurs are creating Pink Spoons to make them, and their websites, more appealing. What I am suggesting is that you step it up a notch and create even more remarkable content - information that is helpful and valuable to your target audience - and give it away. That's right, no opt-in box or sign-up necessary, just have it available on your website for immediate access. This is what I call "Beyond the Pink Spoon." This content can be produced in the form of a video, webinar (or slideshare) or white paper. A white paper is generally considered a persuasive document five to twelve pages in length, that educates your market on an industry trend, identifies the problems facing its readers and provides solutions without selling. According to Michael Stelzner, the author of Writing White Papers, "a white paper's underlying strength rests on this premise: If you give readers something of value, they will give you their loyalty, and ultimately, their business." The important piece here is that you identify a pressing challenge facing your target market, address the main issues and then offer a solution. White papers provide valuable information to their intended audience. So valuable in fact, that they often become viral on the Web. Because they are educational, and not hard-sell pieces, they are often talked about and shared widely. And this, my friends, is why you give them away. Business is moving online at a rapid pace and there has never been a better time to bypass the traditional mediums of advertising and media to reach your target market directly. Consumers are heading to the Web in droves to research whatever interests them at the moment. Ultimately, they want valuable content that will improve their lives. The Web allows smart marketers to deliver compelling content that people actually want to consume. Remarkable content builds your personal brand, establishes credibility, positions you as an authority and ultimately attracts more clients. BINGO! News of a remarkable white paper, webinar or video can quickly spread on social media sites, such as Twitter, Facebook, YouTube and Digg. 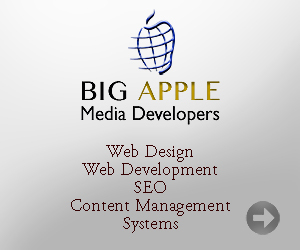 It will also attract links from other web sites pointing to your web site. In other words, you want your white paper or video to prompt other content producers on the Web to "remark" about you (and your products and services) and link back to your site. These links send you qualified visitors, and they signal to Google that your website is worthy of ranking. Five to twelve page papers that educate your marketplace on an industry trend or challenge and provide a solution. Address a topic of great interest and provide a "how-to" for your viewers. Ultimately, this should be a longer and more in-depth video than one you would use as a blog post. Live online PowerPoint presentations that educate, inform and enlighten. Live video shows viewed online. Provide 10-100 pages of special content on a hot topic in your industry. This can be set up as a PDF download right on your website. Tom Peters and David Meerman Scott are well-known marketers who give away generous amounts of valuable content for free.